From whence comes science? Why did science arise? From whence comes science? Why did science arise? When and where? “The founders of modern science were all bunched into a particular geographical location dominated by a Judeo-Christian world view. I’m thinking of men like Louis Aggasiz (founder of glacial science and perhaps paleontology); Charles Babbage (often said to be the creator of the computer); Francis Bacon (father of the scientific method); Sir Charles Bell (first to extensively map the brain and nervous system); Robert Boyle (father of modern chemistry); Georges Cuvier (founder of comparative anatomy and perhaps paleontology); John Dalton (father of modern atomic theory); Jean Henri Fabre (chief founder of modern entomology); John Ambrose Fleming (some call him the founder of modern electronics/inventor of the diode); James Joule (discoverer of the first law of thermodynamics); William Thomson Kelvin (perhaps the first to clearly state the second law of thermodynamics); Johannes Kepler (discoverer of the laws of planetary motion); Carolus Linnaeus (father of modern taxonomy); James Clerk Maxwell (formulator of the electromagnetic theory of light); Gregor Mendel (father of genetics); Isaac Newton (discoverer of the universal laws of gravitation); Blaise Pascal (major contributor to probability studies and hydrostatics); Louis Pasteur (formulator of the germ theory). If an appreciation for math and the cause-and-effect workings of nature were sufficient to generate modern science, how does one explain the historical fact the founders of modern science were all found in a “particular” culture that just happened to be shaped by a Judeo-Christian world view? Instead of measuring energy in joules, why don’t we measure it in platos or al-Asharis? Of course, the cynics would claim these men were not ‘really’ Christians. That is, they really didn’t ‘believe’ in Christianity, but they professed such beliefs because they did not want to be persecuted. This is the “closet-atheist” hypothesis. But it doesn’t square with the facts. Boyle set up Christian apologetics lectures. Babbage and Prout contributed to an apologetics series called the Bridgewater Treatises. Aggasiz, Cuvier, Fleming, Kelvin, and Linnaeus were what we now call ‘creationists.’ When I speak about Biblical beliefs that paved the way for science, I will use both Kepler and Pasteur to highlight two specific examples. “Many of the most important advances were made by Muslims in the Moorish Spain area, and other infidels. I do not deny that other cultures contributed important ingredients, for I would never argue that the Christian world view alone was sufficient for the birth of modern science. But the fact remains that advances in mathematics and engineering do not count as modern science (as I am thinking of), for the Muslims and “other infidels” did not discover the laws of motion, the laws of gravity, the laws of thermodynamics, the laws of chemistry, the laws of heredity, the law of biogenesis, etc. If you take any introductory undergraduate textbook in physics, chemistry, biology, genetics, physiology, paleontology, etc., it is not hard to point to the knowledge that is indebted to the work of these Christian scientists from Europe. But you would find very little that is indebted to Greek, Muslim, Hindu, or Buddhist philosophers (aside from tools like mathematics and Arabic numerals). In fact, if you survey other non-Christian cultures, their inability to generate modern science renders this clue all the more powerful. For these cultures not only lacked the Christian world view’s perception of Nature *and* God, they held to a view that prevented the birth of science. In this view, the Universe was eternal, necessary, cyclical, and organismic. One could argue that this view of the Universe followed from reason and observation (like Geocentrism). But Christianity gave men a larger reason to deny this type of cosmology, and in doing so, it paved the way for the birth of science. I don’t think it can be overemphasized as to how detrimental cyclical thinking was to the birth of science. And what made the cyclic views even worse was their close tie to the animistic/organismic view of the Universe. This feature was shared by the Hindus, the Aztecs, the Mayans, the Egyptians, the Babylonians, and the Chinese. A detailed analysis of all these cultures, in this light, would make my case all the more obvious. Consider the Chinese. When one contrasts the theistic worldview with that of the non-theistic worldview, it becomes quite evident as to why scientific inquiry arose from a theistic, creator God belief system. 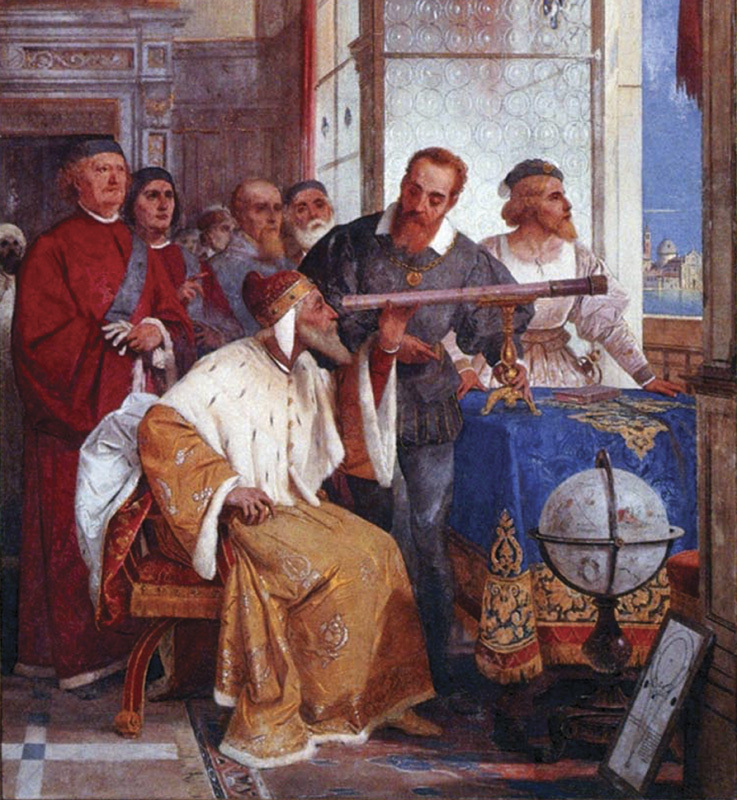 The challenge that needs to be put forth to the devotees of scientism is this: if the pervading worldview of medieval Europe was as opposed to reason and investigative research as they propose, why was it in Europe and at this time, rather than anywhere else, that science arose? This question must be answered along with, given that nearly every one of the founders and pre-founders of science were unusually devout (although not altogether orthodox in their beliefs) even by the standards of their own time, why did they make the scientific breakthroughs rather than their less religiously minded contemporaries? These ‘truths’ Mr. Russell? Your ‘scaffolding’ in which these ‘truths’ are allegedly found, is one built on the incoherent and inconsistent worldview of yours, and sad to say, many others who have embraced said worldview, those who have not been willing to follow the evidence were it leads. How sad and full of hopelessness it is. May we go forth with the hope, faith, love and truth of the Gospel, so that the ‘unyielding despair’ of those such as Bertrand Russell, may be lifted from their shoulders and that the light of His truth may shine brightly within their hearts and minds.